Ryan Holiday (@ryanholiday) is a media strategist, an entrepreneur, and an author who wrote eight books and ghost wrote another six by the time he was 30. His most recent offering is Conspiracy: Peter Thiel, Hulk Hogan, Gawker, and the Anatomy of Intrigue. How Ryan figured out what he really wanted to do with his life. Ryan’s two-step process to solve for that. How to make life decisions more strategically than most. 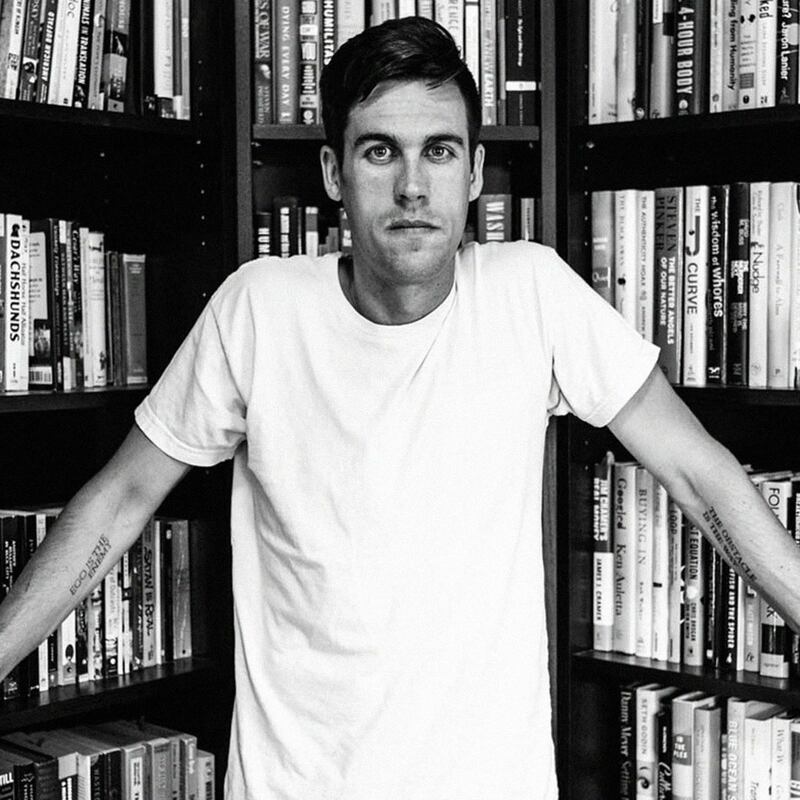 What goes into writing a Ryan Holiday book from scratch. Most of us have dreams of wild success at some point in our lives. Some of us settle for a lesser version of what we once believed was in store for us, and many of us don’t even come close. But every now and again we encounter someone who can seemingly point to any distant star of their choosing and reach it at light speed with targeted precision and minimal fuss. At first glance, you might mistake Ryan Holiday — author of Conspiracy: Peter Thiel, Hulk Hogan, Gawker, and the Anatomy of Intrigue (and many others) — for such a person. Ryan joins us to explain that, while he had a good idea of what he wanted to do with his life from an early age, he never took it for granted that the strategies he employed to achieve his goals were a sure thing. And while an outside observer might see Ryan’s many successes as evidence of his “magic” touch, he has a more interesting story to tell — and much to teach us. Listen, learn, and enjoy! Dropping out of college by the time he was 20 to pursue writing, Conspiracy: Peter Thiel, Hulk Hogan, Gawker, and the Anatomy of Intrigue author Ryan Holiday didn’t score any points with his concerned parents at that point in his life. But he didn’t go about following his dream like a typical 20-year-old college dropout might, either. Ryan had a plan…of sorts. Hindsight bias is the inclination to perceive a past event as having been predictable — despite little or no objective basis for such a prediction. While Ryan explains how he knew what he wanted early in life and took the steps toward that goal in a way that made sense to him at the time, he cautions against taking his personal example as evidence confirming his plan was rock solid and foolproof from the start. The 48 Laws of Power author Robert Greene might disagree — he was nearly 40 by the time he published his first book. But by taking a job as his research assistant to learn about the entire process of writing and publishing a book, Ryan was able to benefit from the mistakes Robert had made on his journey rather than making a fresh set of mistakes on his own. “Get yourself in the vicinity of the industry first,” says Ryan. The lesson: don’t be too proud to accept a sub-entry level job in your field of choice if you’re just getting started. Setting your sights too high and failing when things don’t work out is more likely to end in a permanent derailment than taking the time to learn from others who have already gone through whatever tough times that field has to offer. Understanding the industry from the ground up allows you to work yourself into a position to be ready when a door to a more desirable position opens. Listen to this episode in its entirety to learn more about Ryan’s other deliberate steps toward achieving his goals that we can apply to our own situation, how even many of the corporate superpowers we use today as household names had humble beginnings that would be unrecognizable to their current-day mission statements, how humility best serves Ryan’s trajectory over belief in a fictional Midas touch, how we can determine what we want in the first place so we know where to begin, how we can be more strategic about our life decisions great and small, what goes into writing a Ryan Holiday book from scratch, and much more. Click here to thank Ryan Holiday at Twitter!